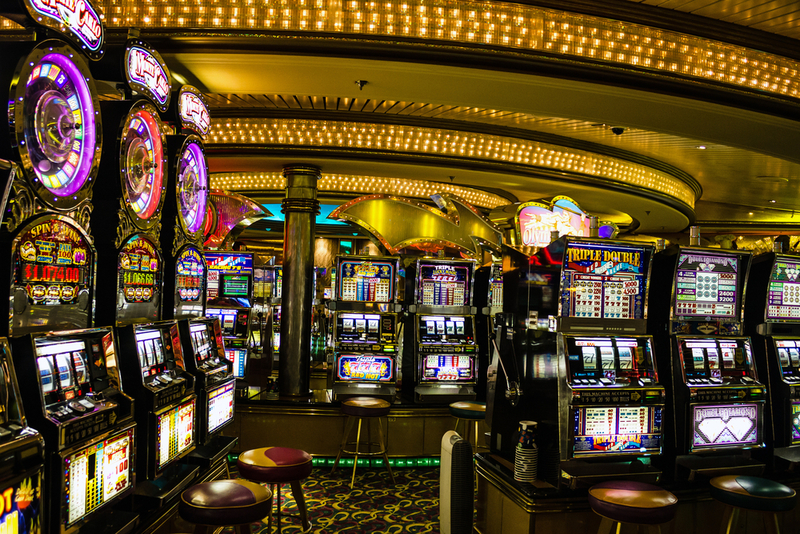 Neil asks: Who invented the slot machine? The story of the slot machine is one of intrigue, theft, controversy, and murder. Okay, not murder, but everything else. And it starts in Bavaria…. Augustinus Charles Fey was the youngest of sixteen children born in 1862 in the small village of Vohringen, Bavaria which sits at the edge of the Alps. Early on, he displayed an interest in mechanics, following his brothers’ footsteps and working in a farm tool factory in Munich. At fifteen, August hit the road (apparently fearful of his strict father and not wanting to serve in the military) and walked across Europe. He stopped in France for about three years, working as an intercom equipment manufacturer, and then made his way to a British shipyard (approximately 750 miles and an English channel away from home), where he settled down for five years as a nautical instrument maker. Several years before, August’s uncle (his mother’s brother) had moved to and settled in New Jersey. The family received letters from him talking of fortune and the good life America provided. So, August saved his money and made the pilgrimage to the United States. He arrived in New Jersey and lived with his uncle’s family in Hoboken (the birth place of baseball), but quickly made the decision to try his hand out west in the “lawless” town of San Francisco. He arrived there approximately in 1884/1885 at around 23 years old, right when the city was attempting to change itself, for better and worse. In 2013, maps of San Francisco were uncovered from the late 19th century. These maps showed numerous gambling halls, opium dens, and brothels dotting the city, with each vice-ridden location color-coded on the maps. Despite this, little was done at this time by the local government and police force about these illegal establishments. In this environment, Fey used his skills as a mechanic and found a job at California Electric Works (later Western Electric, which went defunct in 1995). He worked as an instrument maker and while doing this befriended a German foreman, Theodore Holtz, who will come into this story again later. It was also about this time that he met Marie Christine Volkmar, the daughter of a cigar shop owner, with whom he fell in love with. In 1893, Fey thought he could make a better gambling machine. His work friend Theodore Holtz introduced him to another German who was working at California Electric Works, Gustav Friedrich Wilhelm Schultze. On August 8, 1893, Schultze had patented his own “coin-controlled apparatus,” called the “Horseshoe.” This was the first US patent issued for a gambling machine and was the first to somewhat resemble what we now know as a modern slot machine. In fact, some historians have argued that Schultz, not Fey, should be the one known as the “Thomas Edison of slot machines.” We will come back to that later. Either way, Fey was impressed and “inspired” by the Horseshoe and went to work on his own coin-controlled apparatus. In 1894, Fey designed a version of the Horseshoe, quite simply the same machine, but with a better mechanical reel, and asked Holtz to be his equal business partner (and not Schultz.) Holtz agreed and they both quit their jobs at California Electric, setting up shop as “Holtz and Fey Electric Works” at 39 Stevenson Street. Purposefully, they positioned their shop close to Schultz’s shop, who had also quit his job to make gambling machines. This should have set up a rivalry, except for the fact that Holtz and Fey were also selling leftover parts to Schultz, presumably because Schultz had no clue that they were also making gambling machines and had essentially stolen his idea. In any event, in the basement of his house in 1895, Fey completed his next mechanical wonder, an even more modified version of the Horseshoe he called the “4-11-44” in homage to a popular lottery game at the time called “Policy,” in which the rare winning sequence was 4-11-44. This machine is one of the reasons so many give Fey the credit for inventing the slot machine. It was a three-disc floor machine and was unlike any other ever created because instead of spitting out tokens or slips, it had the ability to dispense actual coins. They put it in a local San Francisco saloon and it was a hit and a huge money maker. Fey and Holtz went to work producing more, but before they got very far, Fey, once again, went packing. 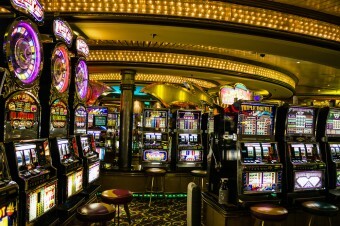 In 1897, Fey further staked his claim as the “Thomas Edison of slot machines,” when he devised the Card Bell slot machine, a “three-reel, staggered-stop machine with automatic payout.” Essentially, what it did was stagger the stops – first one reel, then the second, and then the third – just like modern slot machines, creating suspense, drama, and excitement. At first, he used playing card symbols, but two years later, he replaced them with stars and bells and called it the “Liberty Bell” slot machine. With ten symbols on each reel and ten stops, it allowed for numerous combinations. It was unlike anything else on the market, including Schultz’s machines. It should be noted here that, technically, slot machines at this time were illegal (though, most law officials rarely policed them). As such, even though Schultz was awarded a patent in 1893 for his machine, when he tried to sue Holtz (he did name several other defendants in his documents, including Fey, but Holtz was the main defendant), the courts ruled that the patent didn’t protect him because a gambling machine was illegal. Because of this, the gambling and slot machine industry, from then on, was a bit like the wild wild west – ideas, designs, and concepts were stolen right and left. As for Fey, he never patented any of his machines nor sold or leased them. He would operate them himself by making agreements with the proprietors (bars, cigar shops, etc.) for a 50/50 split of the profits. In 1906, one of Fey’s machines went missing from a Powell Street saloon. It later turned up at the Chicago factory of the Mills Novelty Company, one of Fey’s major competitors. They had pulled it apart, to see why it was making more money than any of their machines. They figured out that, due to only three symbols being visible to the player, the suspense created enticed more “customers.” So, they created their own slot machine – calling it the Mills Liberty Bell slots. Yeah, not even really changing the name. Yet Fey could do nothing – he never patented it and even if he did, the courts would rule that they couldn’t protect it anyway. Around the time Fey was arriving in San Francisco, the Chinese Exclusion Act of 1882 was enacted, curtailing Chinese immigration tremendously in San Fran, from 40,000 people arriving in the city in 1881 to ten (yup, just ten) in 1887.